“We are no longer in a situation where you can assume that this is a localized issue. It is all over the place: affluence, suburbia, inner cities — you name it,” said Dr. Faisal Khan, director of St. Louis County Department of Public Health. 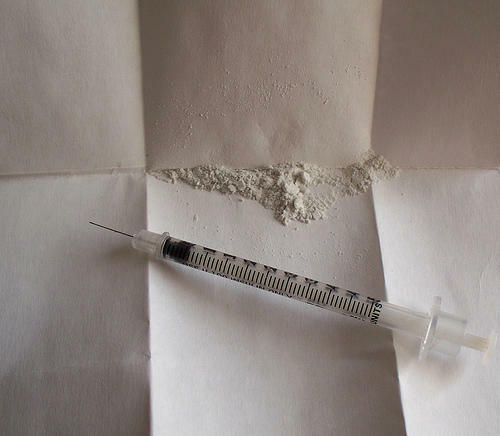 In a breakdown of heroin overdose death rates by neighborhood poverty, the health department found that most St. Louis County residents who die of heroin overdoses come from affluent neighborhoods with low poverty rates. In 2014, for instance, six times as many people died from more affluent neighborhoods. According to the report, the majority of St. Louis County residents dying of heroin overdoses are men between the ages of 25 and 44. But the health department also tracked an increase in the number of women and younger people dying of the drug. The health department does not yet have data on the number of overdose patients visiting area hospitals or being seen by local paramedics. Most people who die of heroin overdoses in St. Louis County are also white. According to the report, the overall death rate by race is in ratio with the county population. Khan said his department is fighting the epidemic by offering educational initiatives and drug take-back programs. The health department also paid for the heroin overdose antidote recently placed in county police cars, and is supporting county legislation to add a prescription drug monitoring program. Until now, when St. Louis County Police Officer Kevin Magnan responded to an opiate overdose call there wasn’t much he could do except wait for the paramedics to arrive. If you’re watching the Super Bowl in St. Louis this Sunday, you’ll probably see another anti-heroin ad. The St. Louis chapter of the National Council on Alcoholism and Drug Abuse has purchased local ad space during the big game for the second year in a row. Compared to last year’s upbeat ukulele music, the music for this year’s Super Bowl ad is a bit less jarring. But the tale it tells is just as stark: a teenage cheerleader tries prescription painkillers at a party and loses everything she cares about as heroin takes over her life.